As we head into Q3, I’d like to discuss a topic that is widely growing in the business community but not being given the credence it deserves. I’m talking about Business Process Management – otherwise known as BPM. 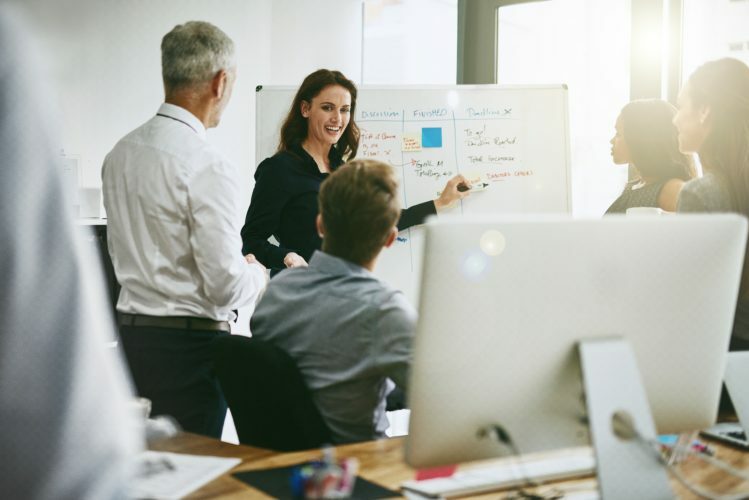 In short, Business Process Management is a systematic approach or methodology designed to make an organization’s workflow more efficient, more cost effective and more capable of adapting to changes in an evolving business landscape. With it, an organization can continuously manage and improve on existing processes while using meaningful feedback to drive action. The problem? BPM is highly misunderstood. Many wonder: is it really necessary? Does it create tangible value? And, is it worth the effort? With a business process in place, organizations go from an internally focused frame of mind to one that is output-oriented and customer-focused. Continued business process improvements result in greater efficiency, higher quality outputs and lower costs. In other words, Business Process Management keeps all aspects of the organization running at optimal levels. The business process you have in place, or lack thereof, will dictate how you respond to those forces. It can mean the difference between a reactive response and a proactive one. Sure, they’re separate objectives that, on some level, require separate strategies. But a well-developed business process is the common thread woven throughout that helps each business function to deliver on their respective objectives. Note that while “process” is a critically important piece of the puzzle, it is not a starting point. It is, however, one of the many necessary building blocks to success. Though it seems like a massive undertaking, making process improvements or even implementing a new process altogether isn’t as hard as you think. Simply break it down into sections and take notice of the forward movement. Over time, momentum will build and you’ll be well on your way. But keep in mind: accountability is key. Oftentimes when processes are developed, pieces of it are given to different functions across the organization. This, however, creates what I like to call the “Everybody, Somebody, Anybody, Nobody” effect. There was an important job to be done and everybody was asked to do it. Everybody was sure somebody would do it. Anybody could have done it but nobody did it. Somebody got angry because it was everybody’s job. Everybody thought anybody could do it, but nobody realized that everybody wouldn’t do it. And so everybody blamed somebody when actually nobody asked anybody. The takeaway from this story – set the roles and responsibilities up front. Assign ownership of the process to one person who can take it and run with it, from start to finish, to prevent breakdowns in the process and siloed thinking. Though the fear of the unknown presents a barrier to change, when it comes to process improvement, there’s really nothing to fear. At the end of the day, business process improvements will help you do your job better, faster and smarter. A more successful “you” supports a growing organization with growing opportunity. Think of business process like a blueprint that helps an organization achieve its business goals. It may sound complicated, but it’s really not. You don’t need to boil the ocean; simply take it one step at a time noting each success along the way. Let us know what your processes are in the comments section below. As we head into Q3, I’d like to discuss a topic that is widely growing in the business community but not being given the credence it deserves. I’m talking about Business Process Management – otherwise known as BPM. In short, Business Process Management is a systematic approach or methodology designed to make an organization’s workflow more efficient, more cost effective and more capable of adapting to changes in an evolving business landscape. With it, an organization can continuously manage and improve on existing processes while using meaningful feedback to drive action. The problem? BPM is highly misunderstood. What are some of your more memorable networking experiences – good, bad, or ugly? Tell me about them in the comments section!